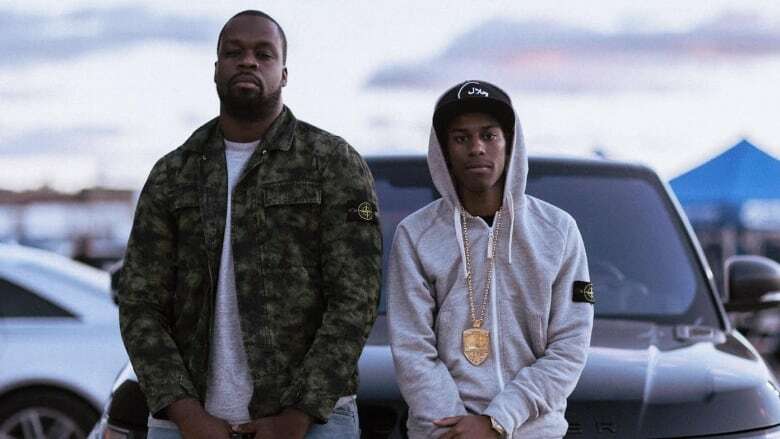 Toronto rapper Smoke Dawg and Koba Prime, a man connected to a local music collective, have been identified as the victims killed in a triple shooting Saturday evening that also left a woman with serious injuries. 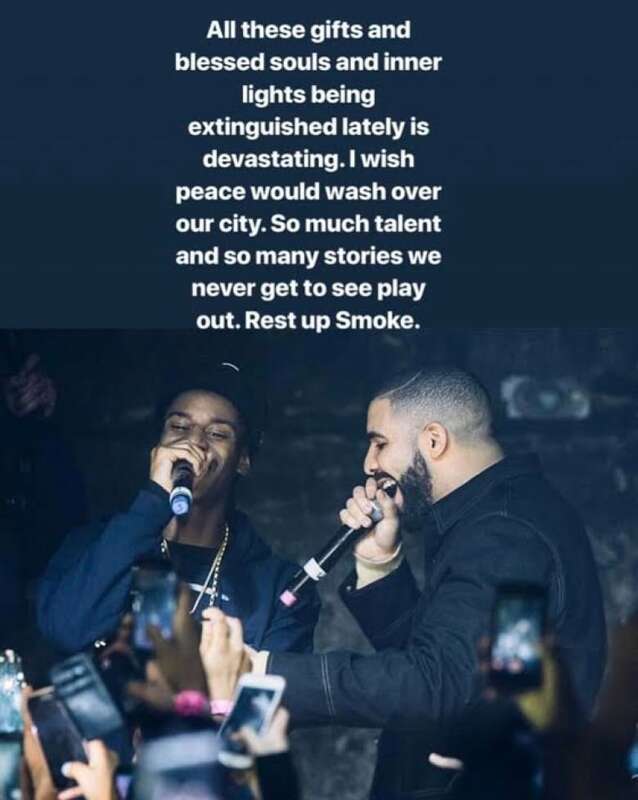 Smoke Dawg, 21, whose real name is Jahvante Smart, had ties to Toronto rapper Drake and toured with him in Europe last year. Koba Prime, 28, whose real name is Ernest "Kosi" Modekwe, was a brand manager with the hip-hop music collective Prime. The pair collaborated as part of the larger rap collective Full Circle. Online fundraisers — posted on GoFundMe — have been set up to help cover the funeral and memorial costs for both men. Modekwe's page remembers him as a loving son and brother. "His infectious smile lit up any room he entered and he was instantly friends with anyone he met," the page reads. "After graduating with honours from the University of Toronto, Kosi Modekwe worked hard to help his single mom and provide for his two siblings." Police said the two men were killed following a "brazen" daylight shooting in Toronto's downtown entertainment district Saturday. Shots rang out shortly before 8 p.m. near Queen Street West and Peter Street, police said. The area was bustling with people on the Canada Day long weekend. Police said one of the victims was without vital signs at the scene and was pronounced dead in hospital, while another died in hospital overnight. The woman, believed to be in her 30s, is expected to recover from her injuries, according to Det. Jeff Allington. Post-mortem examinations for Smart and Modekwe are scheduled for Tuesday. Toronto Mayor John Tory said he is "damn mad" about the city's latest gunfire. Witnesses told police that the scene was chaotic following the shooting. "Reports were coming in from the scene by callers that a number of shots had been heard and that there were a number of people running and screaming in the area," Toronto police spokesperson Const. David Hopkinson said Sunday. When officers arrived, they found two victims on the street immediately. Police searched the area and found the third victim a short time later, Hopkinson added. "Typically in scenes like this, we do find the victims in other places; either they are trying to get to the hospital or they are trying to flee the situation," he said. Police declined to say whether they believe the shooting was targeted. More than one suspect was seen running from the area and may have fled in an SUV or car, police said. Witnesses told reporters they saw a black SUV with tinted windows and a white Bentley speeding away. Allington said "a number of cars" left the area shortly after the shooting. Homicide detectives would like to talk to those drivers, he said, and police are asking other witnesses to come forward. 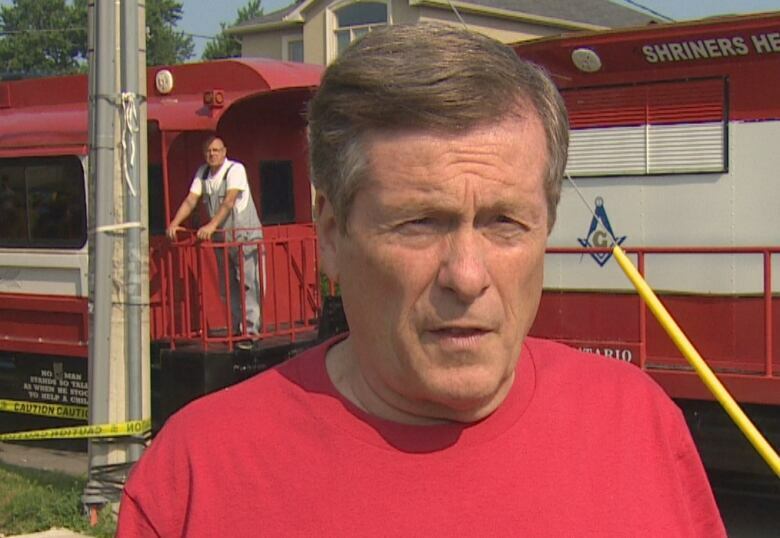 Speaking to reporters before a Canada Day parade on Sunday morning, Tory said he is angry and concerned about the shooting, but said Toronto remains a safe city despite recent gun violence. He also said he spoke to Toronto Police Chief Mark Saunders about this latest incident. The mayor blamed the shooting on gang violence and called for people with a history of weapons offences to be kept off the streets. He specifically pointed to those who've been charged with crimes but are ultimately released on bail. "I just don't think they belong on the streets, and I've talked to Chief Saunders this morning, and I know that they are hard at work on this one and some of the other shootings we've experienced this year. And we're going to round these people up," Tory said. "We're going to put them in jail and then the real question is: Will the system keep them in jail until their charges are dealt with? Because we just can't have these people on the streets. They're causing mayhem in, otherwise, a very peaceful city." Tory said he plans to talk to federal officials again about the number of guns in Toronto. He said he will also speak to the new Ontario government about the role of the court system in keeping the city safe. "The gun violence is a challenge for us. And, you know, that's partly because guns are being trafficked in Canada within the current rules. And that's why those rules need to be strengthened and I've made that very clear to government of Canada — it's why we can't have people getting out on bail 20 minutes after they're arrested for using a gun," Tory said. "We're working on that. I'm speaking out very forcefully on that, and I'll speak to the new government of Ontario about advising Crown attorneys on that." For his part, Ontario Premier Doug Ford said the shooting is disturbing and curbing gun violence in cities will be a priority with the new Ontario government. Ford said he thinks police are "the experts" on the issue and will figure out how best to deal with the problem. But the premier said he doesn't think the Toronto police should bring back TAVIS, the Toronto Anti-Violence Intervention Strategy, a police unit set up in 2006 to curb violence in high crime areas. Its formation came in the wake of the summer of 2005, the so-called "summer of the gun" in Toronto. 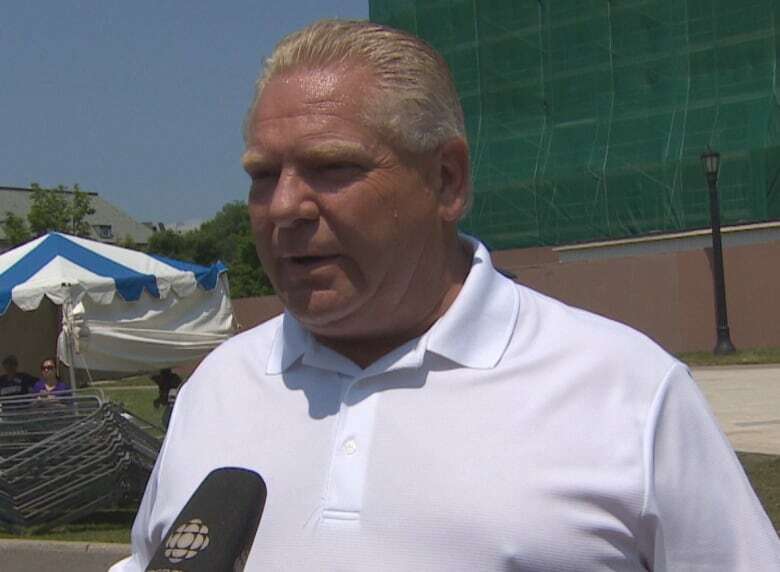 "We aren't going to bring back TAVIS, but we are going to give additional funding to Ottawa and Toronto to fight guns and gangs," Ford told reporters outside Queen's Park on Sunday. Ford declined to say how much the province will give to the two cities, but said justice will be done. "This is unacceptable. We live in the greatest city in the world. This seems like this is happening every second day. There's a very small, small percentage of gang-bangers chasing each other around and innocent people are getting killed. It's not going to be tolerated under my watch in Ontario, I can tell you that," Ford said. "We'll hunt them down. We'll hold them accountable." 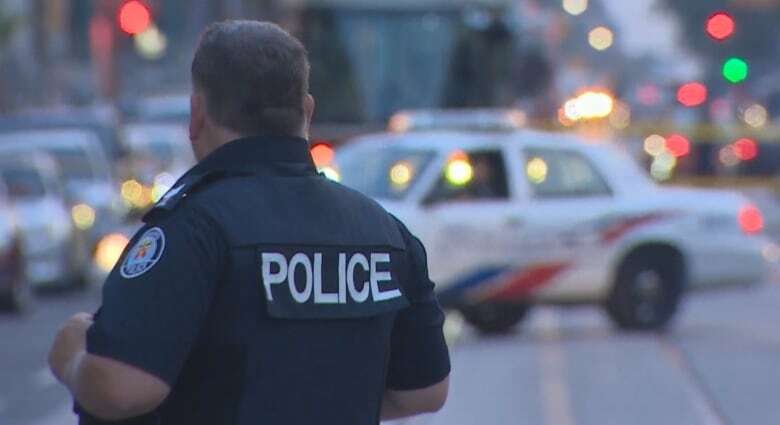 A stretch of Queen Street West was closed overnight and into Sunday morning to allow officers to investigate, but it has been reopened. Witnesses told CBC News on Saturday night that they heard about nine or 10 shots; some said they thought it was fireworks for Canada Day. 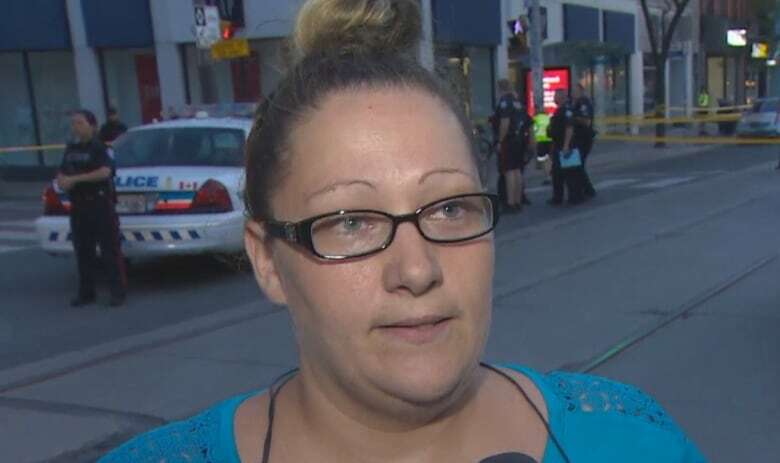 Lise Robichaud, who has been living in Toronto for the past two years, was on a streetcar in the area when she said she heard a gunshot. "I looked outside, I saw a black male fall to the ground, then I heard four more gunshots," she said. "The TTC driver told us to get to the ground because it was a shooting. It's terrifying. I'm still shaking. It's very scary." Robichaud said living in Toronto is "very scary" and she is thinking about moving back home to her native New Brunswick. Investigators would like to speak to anyone who took photos or videos, or who may have dashboard camera video, as well as businesses that might have security camera footage. Witnesses can call police at 416-808-5200 or 416-808-7400. An earlier version of this story identified Koba Prime as a rapper. In fact, Koba Prime, whose real name is Ernest "Kosi" Modekwe, worked as a brand manager with Prime, a Toronto hip-hop music collective.